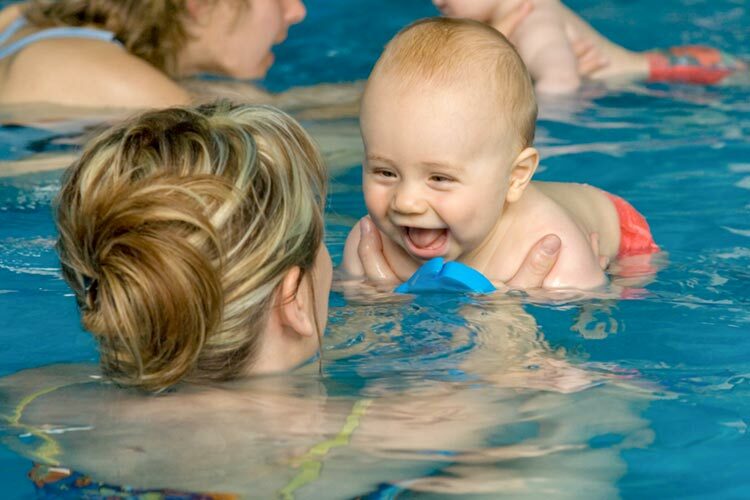 Our heated hydrotherapy pool allows you and your baby the comfort of experiencing water in a safe, relaxed and fun group environment. Following 20 minutes of water interaction with your baby, you then have the opportunity to participate in an exercise class whilst our staff watches over baby poolside. Dad is welcome to bring the baby into the pool should he wish to. This is a specifically designed aquarobic class, instructed by a qualified physiotherapist, to help strengthen and tone your muscles and improve your general fitness as you recover from childbirth. *Health Fund Rebates can apply to antenatal & postnatal classes supervised by a physiotherapist.